Last week, we talked about the rising popularity of donor-advised funds—but should pastors and church leaders be pushing this as a financial tool for their people? Absolutely. For most churches in America, giving is done in the same straightforward manner as it’s been done since the Pilgrims landed at Plymouth Rock. Church members gather to worship. They bring cash (or checks). They place their money into a collection box, bag, or basket. And this process repeats itself 52 weeks (minus snow days) every year. Let me be clear right up front: There’s nothing wrong with this method. Please don’t stop doing it in your church if that’s your traditional approach to discipling your congregation into generosity. But this method does have some flaws, both theologically and practically. When you “pass the plate,” some people might feel compelled to give, yet in Scripture we know we’re supposed to give “cheerfully.” Coerced generosity doesn’t work in God’s Kingdom. Most people do not attend all 52 Sundays—including the pastors! So when you collect the gifts from your people on Sunday morning, you will unavoidably miss potential gifts from those absent. More people are choosing to go cashless, and only carry cards. Of course, you can place giving kiosks in the building and set up your online giving processor on your website. But you still will miss people who don’t show up every Sunday—and some people are in such a hurry that they fail to visit the kiosks before or after service. These flaws are nothing new for a pastor like you. 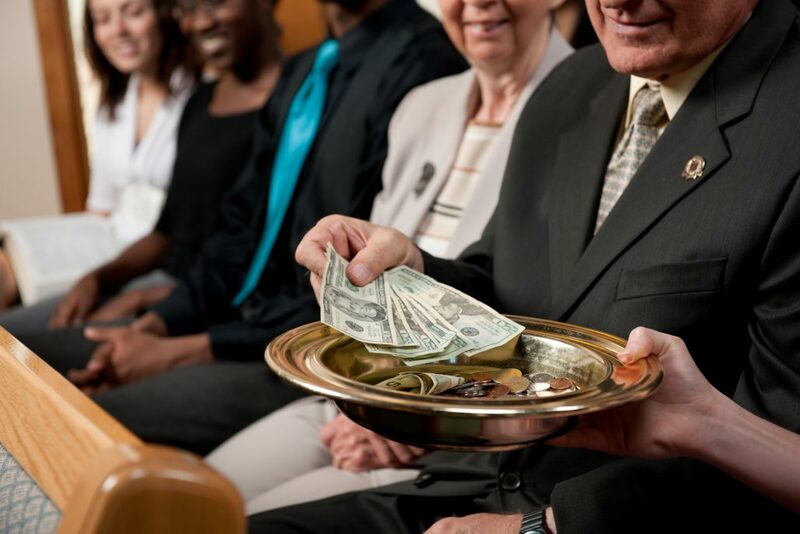 I’m sure you’ve even had a conversation or two with your deacons or elders about how to optimize the part of the service where you receive the tithes and offerings. And, again, these are not “deal breakers” in my mind. Passing the plate is an honored, time-tested way to sustain the church, cultivate a spirit of generosity in your people, and worship the Lord corporately through giving. But if I could give you a stewardship tool that would solve all of those problems—wouldn’t you jump on it? There is such a tool! Donor-advised funds. There’s been more and more talk about donor-advised funds (DAF) in the philanthropic community lately. It’s becoming a common stewardship tool. In fact, since 2010, the amount of money contributed to DAF’s has increased by 300%! So you might have already heard about them. (If you need a quick primer, please see my previous blog post.) But you may not have heard that your church members and your church can benefit tremendously from using this financial stewardship tool. Almost every DAF provider I know of allows donors to gift the money they contribute to fund religious institutions. The rare exception might be a community foundation that restricts the grants donors can make to local or economic causes. But there are also excellent Christian DAF providers that you can refer your people to that will help you reinforce biblical stewardship values in the lives of your people. And, of course, they will allow your congregants to give to your church through their DAF’s. Setting up a DAF with a Christian foundation does not limit your church member to give to only Christian causes or churches. With regard to Waterstone and National Christian Foundation, I know that as long as the charity you’re giving to is not antithetical to biblical, Christian values, they’re fine writing checks to a state university, hospital, or other causes. This flexibility is important because while you want your church members to give faithfully to your church, you want them to have the freedom to support the other issues God has placed on their hearts. But by promoting the use of donor-advised funds among your church members, you can smooth out the peaks and valleys in your church’s cash flow because DAF’s urge donors to be proactive and intentional about their giving. DAF’s also assist your church members in being consistent in their giving—even when they’re not in attendance every Sunday morning. Another reason I encourage pastors like you to promote the use of donor-advised funds is that church members can easily use them to teach their child the ways of generous living by making their children advisors to the fund. There are several ways to do this. The first way is that you could set up a donor-advised fund and appoint your children as advisors. This way, you can make decisions on where the money should be given in real time with your children. Using a DAF, you would be providing your children practical experience in administering Kingdom finances—and you would be there personally to guide them! The other way is to set up a DAF as a part of your estate planning to try to use that as a mentoring vehicle for your kids on helping them grow in stewardship after you die. For example, in your estate plan, you could give your children the inheritance assets directly that you want to give them—but then also deposit $10,000 or $25,000 into a donor-advised fund account and appoint your children as the advisors to that fund. By being the advisors to the DAF your estate created after you pass on, you’ve created a way to launch your children into the practice of biblical stewardship, even when you’re not physically present with them. Donor-advised funds are a HUGE blessing for churches, church leaders, and church members. Don’t miss out on this easy-to-use stewardship tool! Encourage your people in your stewardship sermons, series, or Sunday School classes to go to National Christian Foundation or Waterstone and open up a DAF. This will help you and your people match up your giving habits with your biblical convictions. Want to discover more stewardship tools like this to fund your church’s mission? Let’s talk! Donor-Advised Funds: The Best Financial Tool for Consistent Generosity The Lifestyle Finish Line: When Is Enough… Enough?